Summertime is 99.9% complete, which means FALL is right around the corner! 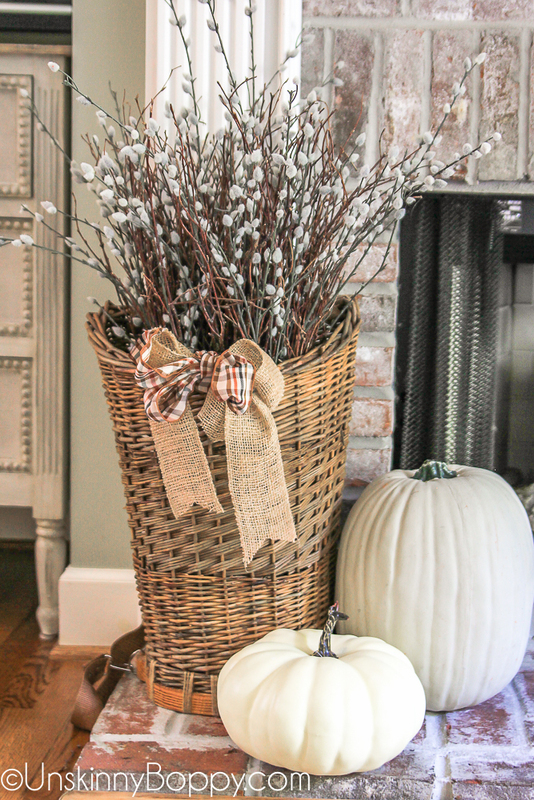 I am so excited to be sharing my fall decorating ideas with y’all today. Fall has always been my most favorite season of the year. September 1st rolls around and it’s time to PUMPKIN SPICE ALL THE THINGS! Can I get an amen? 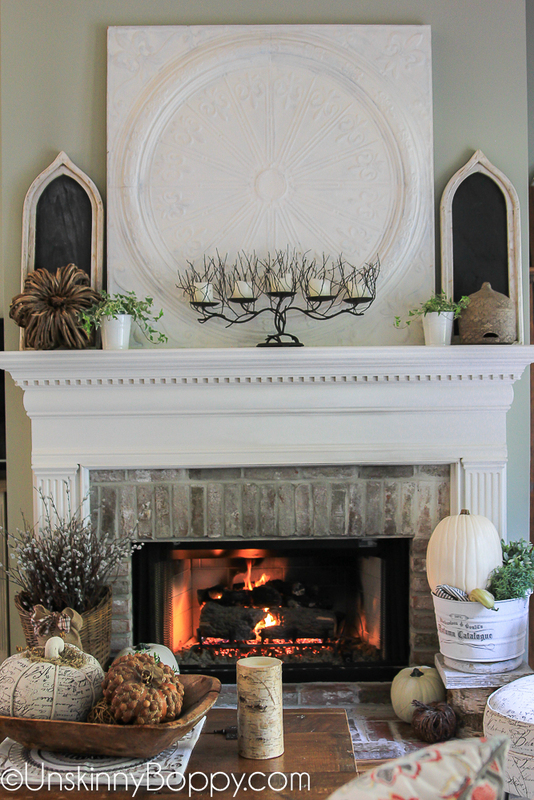 Today I’m joining a bunch of super talented bloggers and Kirkland’s for a farmhouse fall home tour! So, let’s get started, shall we? PS- be sure to stick around until the end because there is a BIG OL KIRKLAND’S GIVEAWAY for you to enter! As per usual, it’s still greener than Kermit’s armpits here in central Alabama in early September. We won’t see actual fall color until late October or November. I had to bring in some fake fall color, but that’s ok. That just means it will never go bad! Nothing says fall like mix-n-match flannel patterns. Bring on the plaid! Kirkland’s gave us a little gift card to go shopping for some new fall items for our home. 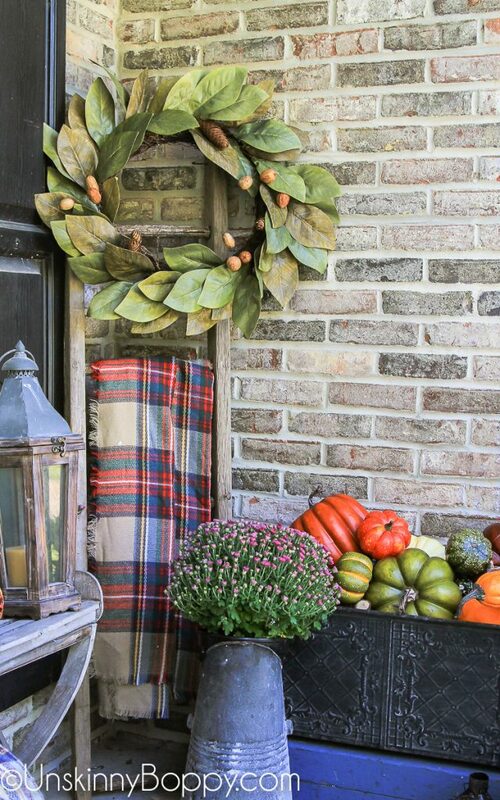 I picked up that gorgeous magnolia and walnut wreath and the “Autumn Greetings” burlap pillow for my porch. Over beside the front door I threw together this eclectic collection of birch wood on a barrel inside a metal orb with other rustic wooden junk. And more plaid. I had every intention of using that metal orb as my foyer chandelier but I’ve gotta find someone brave enough to scale my 2 story foyer to hang it. So for now, it’s strictly decor-ictly. I’m hosting a bridal shower for my cousin here in a few weeks so I plan to add a sign to the wooden crate with their names on it. Since all the other decor was brown and grey it blended right in with the brick, so I found some fake leaf garlands in bright orange to help it out a bit. 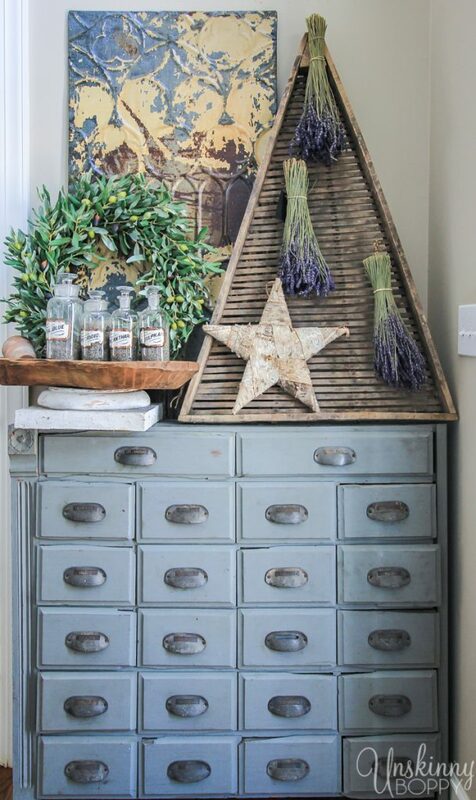 When you step inside the door, my trusty old apothecary cabinet is decorated exactly like it was in the spring. I love it so much I haven’t changed it. 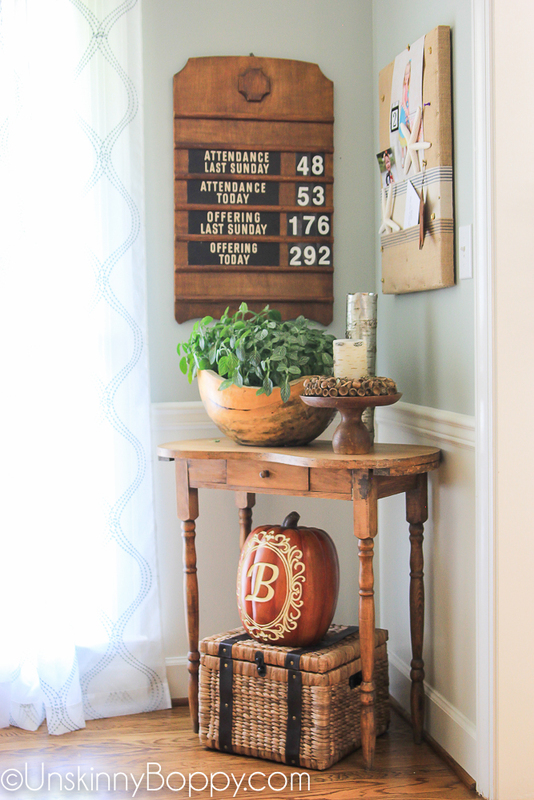 On the other side of the foyer is my fall printable. And straight ahead leads you to the living room and dining rooms. 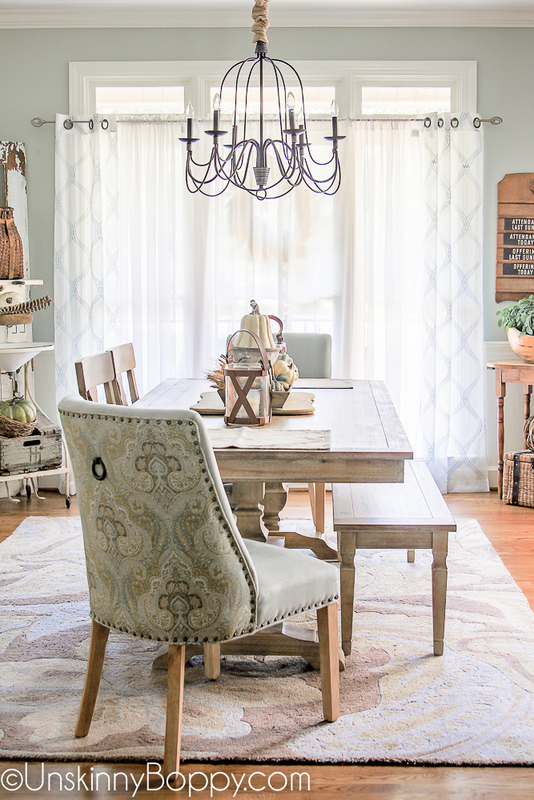 I posted a full dining room tour on Tuesday, but I’ll sneak in a few more pics for you to see it in this home tour. Since I plan on filling this table up with food for the shower I didn’t put out any table settings. 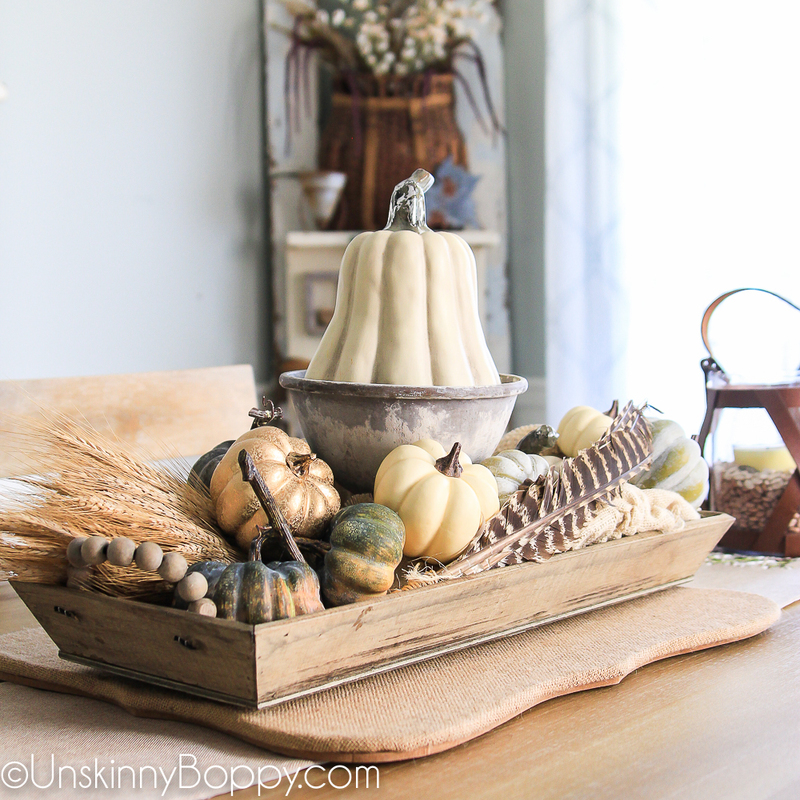 Just a centerpiece of golden natural pumpkins inside this wooden beaded handle tray. 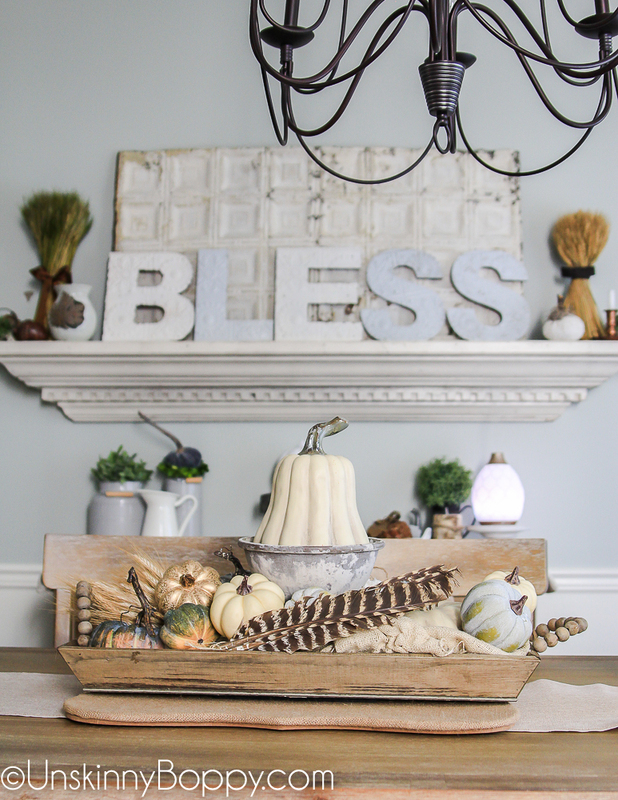 But, by far, my favorite part of the dining room are my new tin tile letters that spell out “BLESS”. I have been obsessed with All Things Tin Tile for quite a while now, so I knew I had to have these letters when I saw them. My dining room makes me SO happy all decked out for fall. Some of my favorite junkity-junk over in one corner…. And a little more over in the other corner… The monogrammed pumpkin was a Kirkland’s purchase from a few years ago. Over on the living room mantel there is even MORE tin tiles. See? Told you I was obsessed. This one came from an antique store while we attended the Apple Festival in Ellijay, GA, circa 2005. This was the piece that kicked off my tin tile addiction. I’m digging the white and cream color scheme this year for fall. It’s classic and clean. Throw in a few wicker and wood accents and I’m good to go. It’s not a super decorated mantel, but I felt like keeping it simpler this year. I’m happy with it. 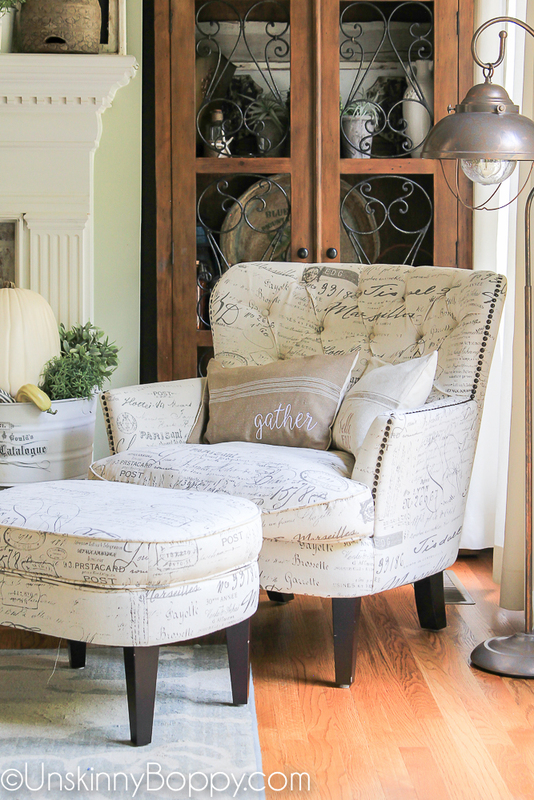 I found this beautiful French-script chair from Costco, of all places. It was on sale, along with the ottoman, for $170!! I snatched that sucker up so fast. It’s PERFECTION in this corner of my living room. I even had a french-script pumpkin that matched it perfectly. I got these GORGEOUS little pillow covers from my friend Lisa over at Farmhouse on Boone. 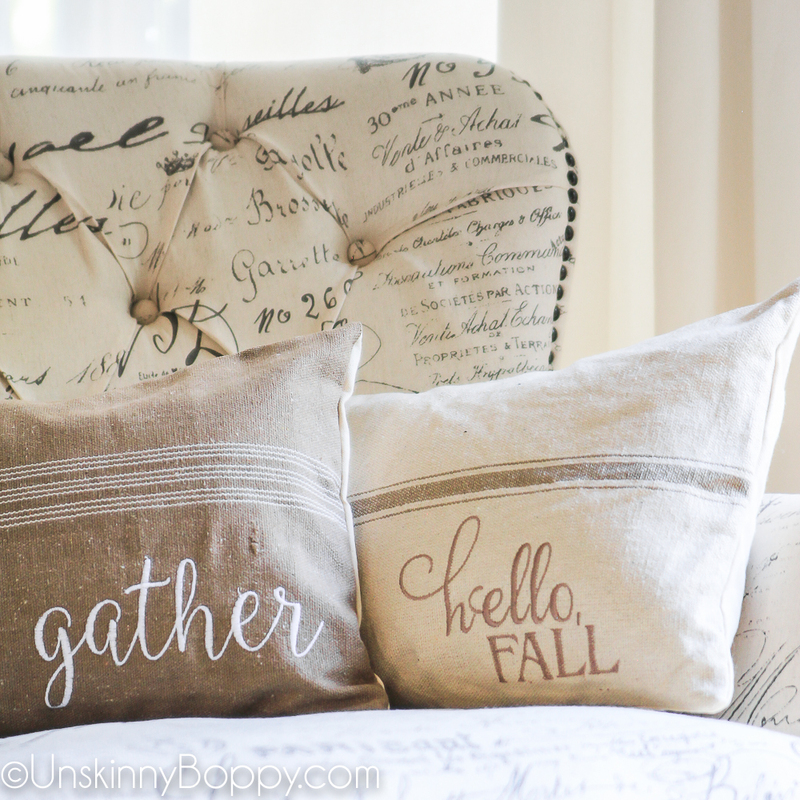 She made the “Gather” and “Hello Fall” pillows on a pretty grain sack cover. I’m smitten. I don’t decorate my bedroom for the season. Do you guys do that? It’s never this clean, and usually there are piles of laundry strewn everywhere so why would I put a pile of pumpkins on top of that? Lately I’ve been so drawn to YouTube videos of late 80s and early 90s Martha Stewart. 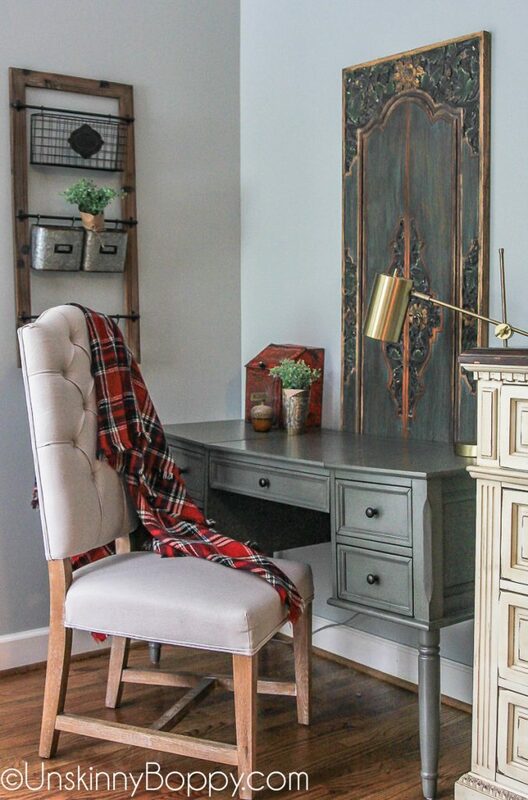 decided to give into the call of The 80s by adding plaids and brass and wood and wicker on a backdrop of hunter green to this corner of my bedroom. What do you think? I’m totally digging it. 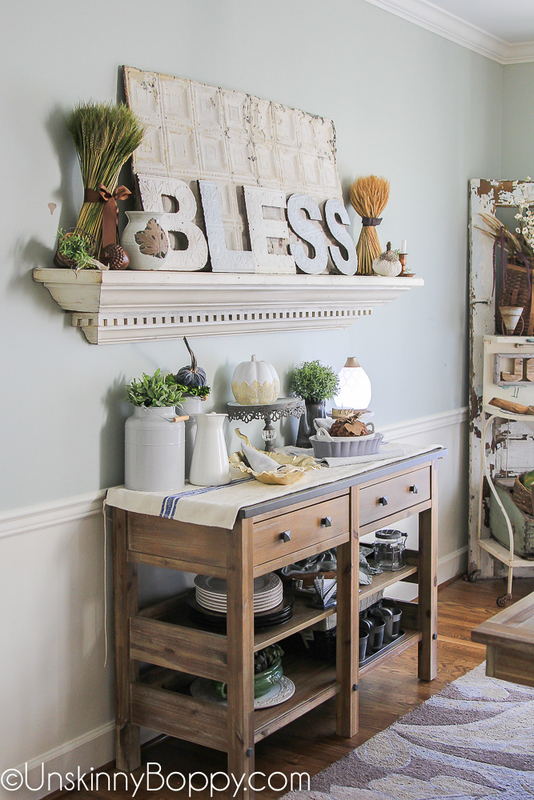 The farmhouse style wall organizer on the left came from Kirklands as well. It’s the perfect quiet corner for Garrett to catch up on homework or for me to pay bills. 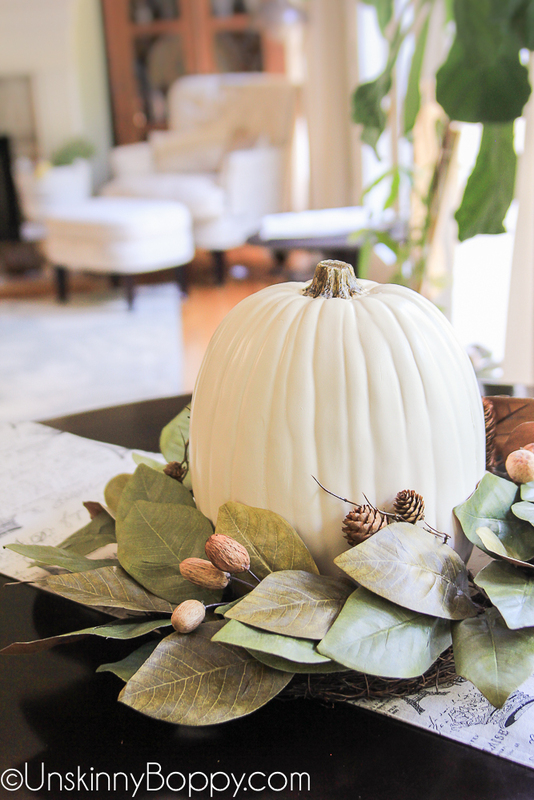 The kitchen table got decorated with another white pumpkin sitting in another magnolia wreath. 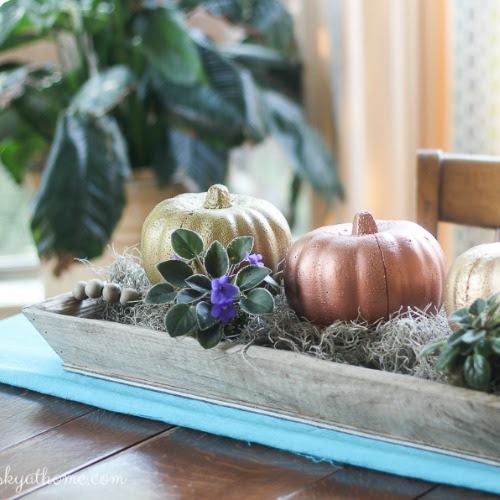 The ol’ pumpkin-in-a-wreath trick is a super simple way to pretty up a table. Oh, and to complete the trifecta of french-scripted awesomeness, I found this table runner that matches my new chair and pumpkin. Perfecto. This was my first attempt at decorating a light fixture for the holidays, and I’m kinda digging it. 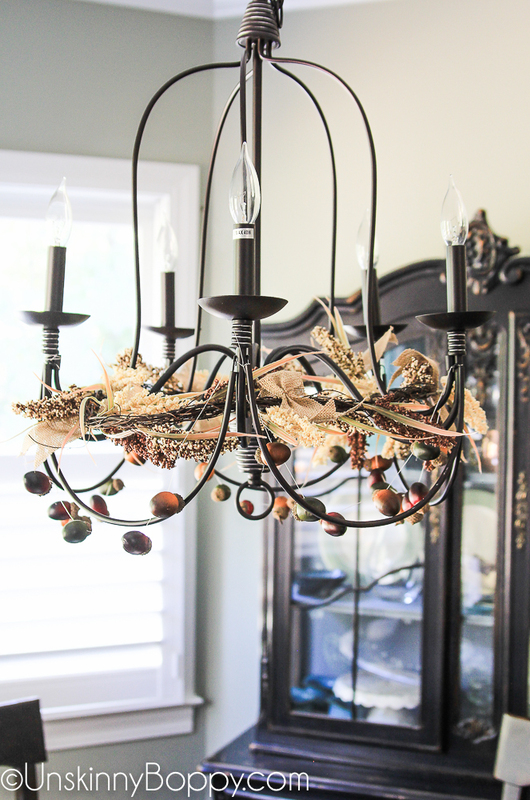 I wrapped some cheapo fall garland around the bottom and strung up fake acorns–or facorns, as I like to call them–from dental floss and draped them around the bottom. Really easy but it makes things even more fall-festive. So, there ya go! 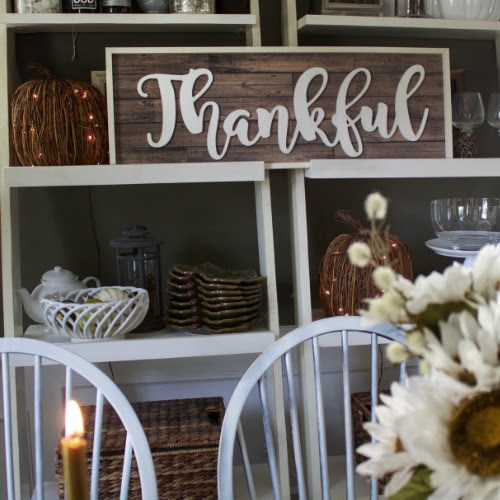 I’m SO happy you joined me today for this fall home tour. Now, let’s get to the good part! As promised, Kirkland’s is giving away a MAJOR prize to one of YOU. 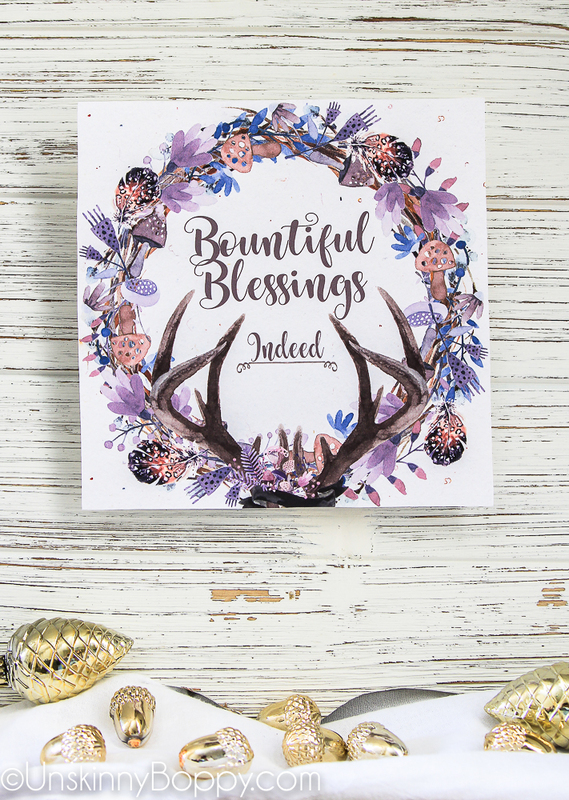 One lucky reader will receive a $1,500 gift card to spend at Kirklands! Click here to follow me on Instagram to be entered in the giveaway! 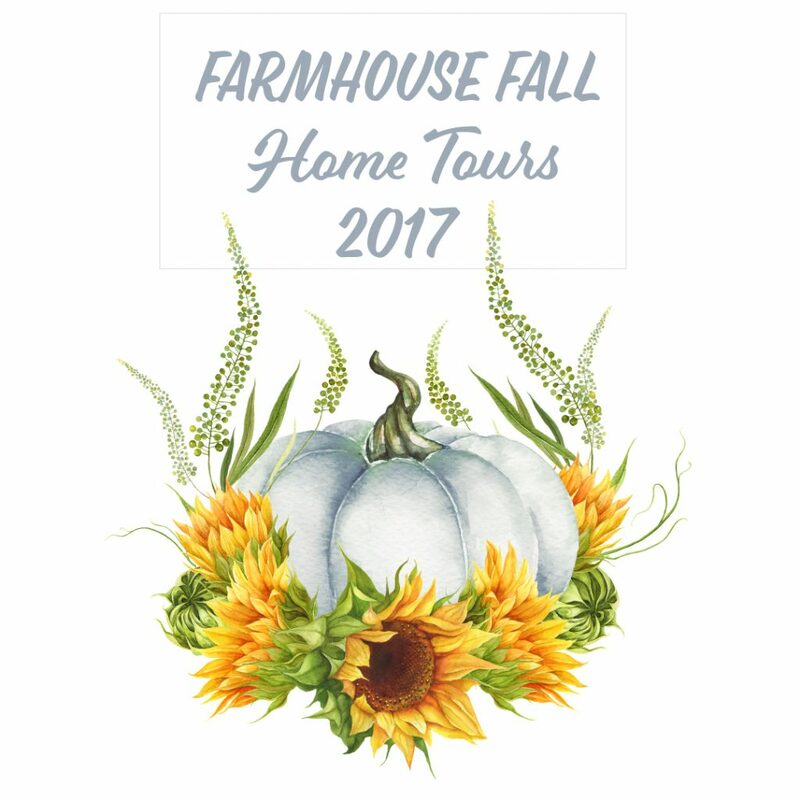 To tour all the other amazing farmhouse style blogs on this tour, click on the links here! Absolutely beautiful Beth! All the touches in your home and outside your home. I love all the pieces you picked up from Kirklands and your home just always inspires me with all your decor and furnishings. Not to mention your photography is amazing! I love every single inch of your home! I can’t pick a favorite part. That apothecary has always been a favorite of mine. 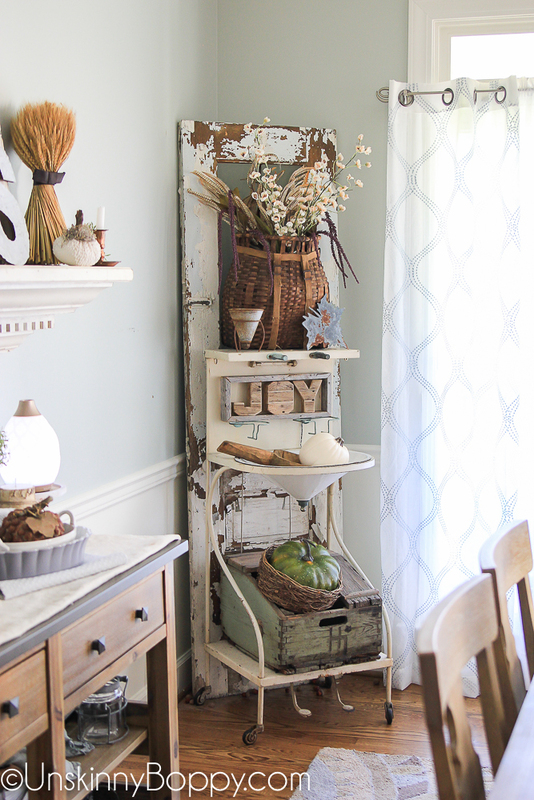 The front porch is the perfect spot to enjoy fall and the old door in the corner is the best “junkity-junk” ever! Perfect fall tour! You have SUCH a beautiful home Beth! 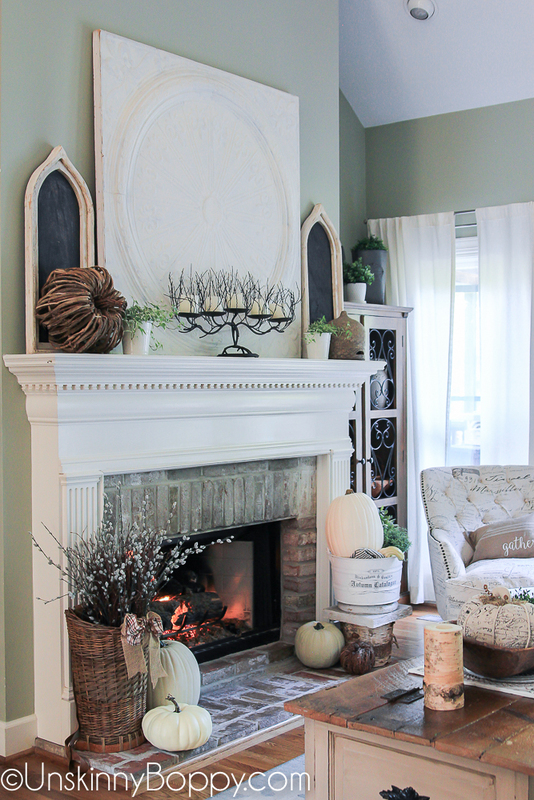 LOVE all of those cozy Fall touches! The house looks so pretty! I live for the fall and winter and love your style! 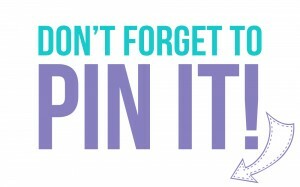 Can’t wait for more photos of your craftiness! Beth, you have so many awesome vintage items that I could go shopping in your home. As a porchless person, I’m in love your porch and how you’ve decorated it. Happy to be on the tour with you. 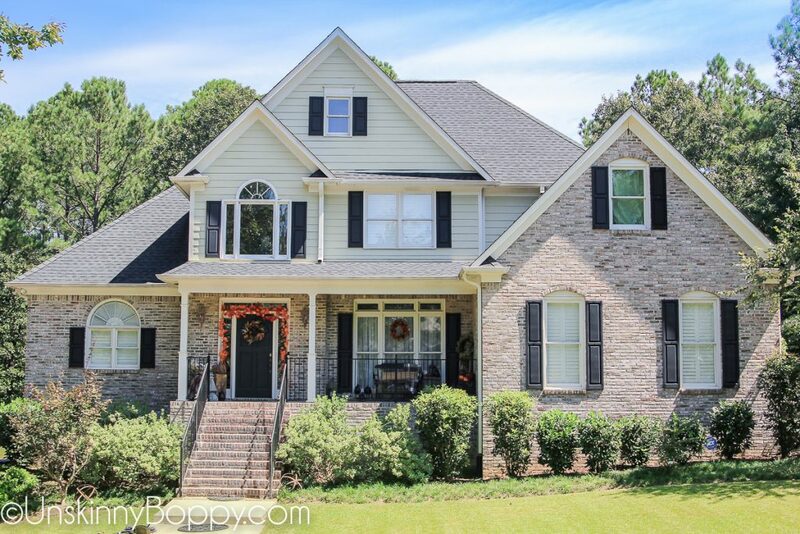 Beth – your home is so beautiful! 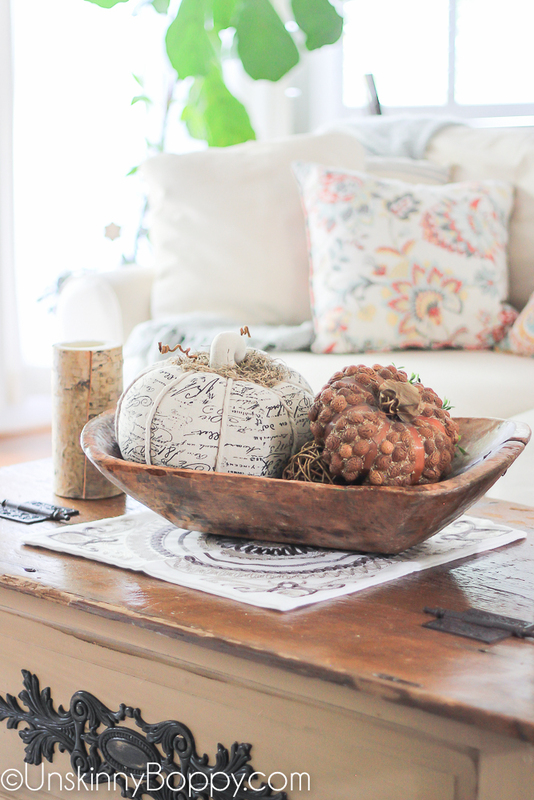 I love all the pops of color – great tips to create a cozy fall home! Love your home! Where did you find all of your beautiful pumpkins? Beautiful and so inspiring, Beth! I love your style! OMG!!! That script chair and ottoman were a bargain! You were at the right place at the right time! I love all those plaid throws on your porch. I was at HomeGoods today admiring similar plaid throws and didn’t get any. But now I think I have to go get them after seeing how great they look at your place. 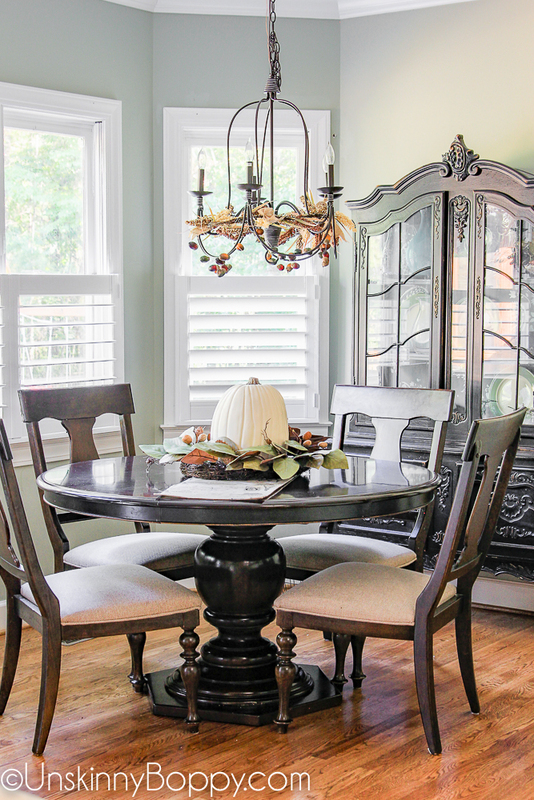 Your dining room is always beautiful! Love every square inch of your fall tour! I like Villena Black Microfiber Curved Arm Chair. 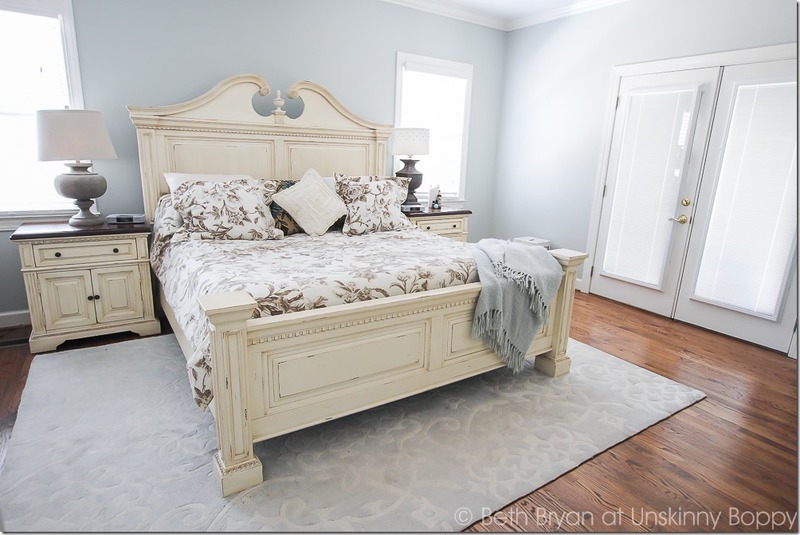 Beth – your house is BEAUTIFUL! 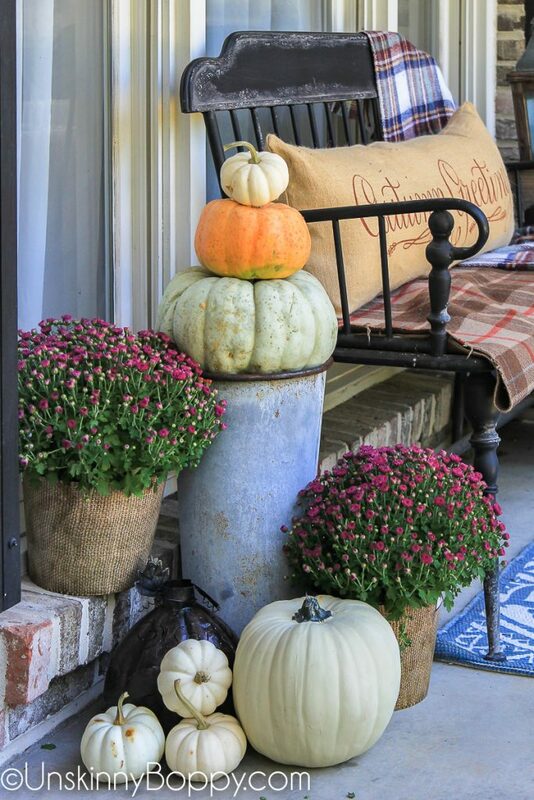 Love the porch decorations for fall, so pretty and festive! So nice getting to “hop” with you this week! Your fall tour is gorgeous, Beth! I love your dining room. So perfect. Beth, do you live in a catalog!?! Your home is so stunning, ever touch of decor is just perfect!! Hi Beth, your home is just so pretty! I, too, love the white and cream colors and the way you have used them! Love it! You are a fantastic decor gal with unique, one of a kind treasures. Always enjoy your home tours so much! Your home is so gorgeous! And I love Kirkland. My favorite item is Annalise Distressed Gray Oak Dining Table! So pretty! Enjoyed taking your beautiful fall home tour, Beth! 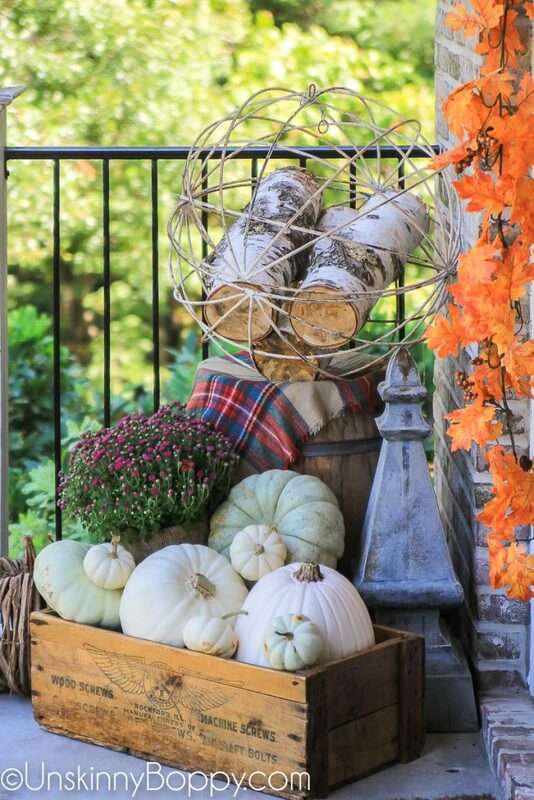 I can’t help but giggle whenever I see that bucket on your fireplace with the gourd hanging out! My favorite item is the Villena Black Microfiber Curved Arm Chair. I wish I had your design taste! My favorite item at Kirklands is the Gray Black Fresno Shag Area Rug, 7×10. Girl – gorgeous! 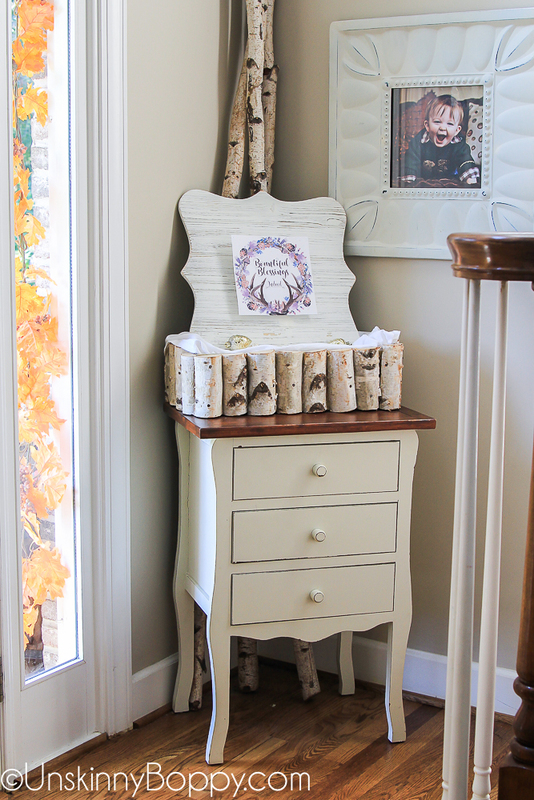 Did some pinning and your home is so cozy! Wow Beth this all looks amazing!! I am drooling over all your porch decor! 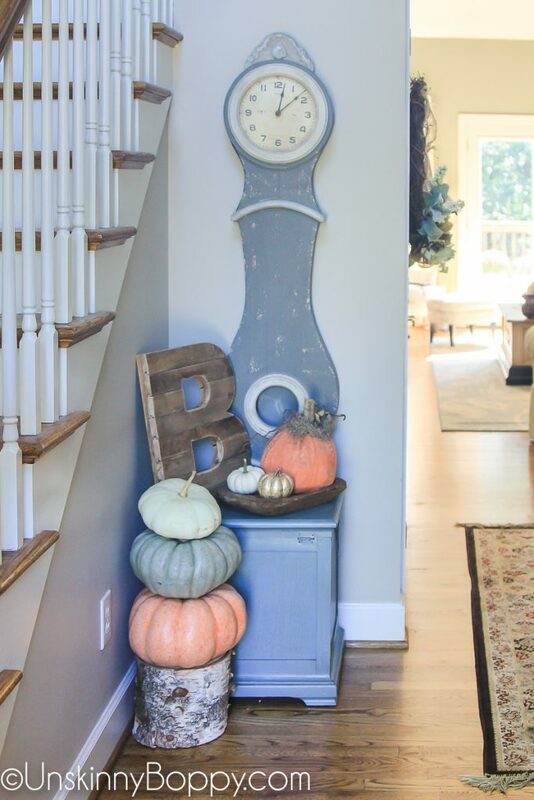 I loved how you mixed faux with real pumpkins with your decor so effortlessly! Entered the giveaway! I almost never do that but this is awesome! Its beautiful! 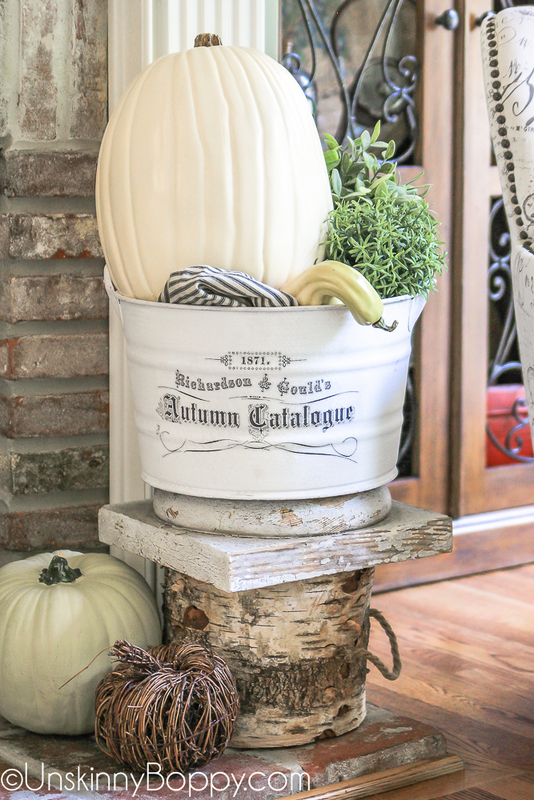 I love your front porch and that printable is perfect! Thanks for a great home tour! 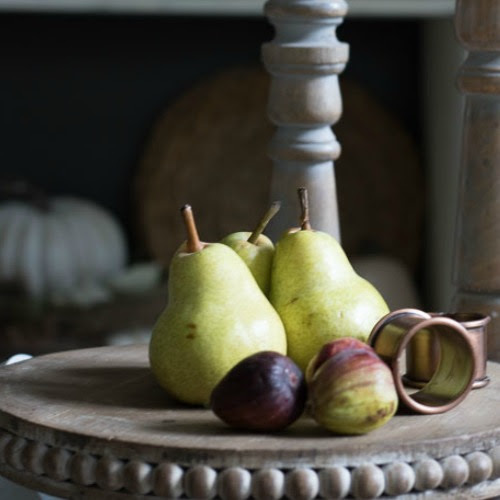 I love the baroque console table from the Vintage Charm collection. Oooh I love it all. My favs are the beautiful chairs. I love Kirklands! 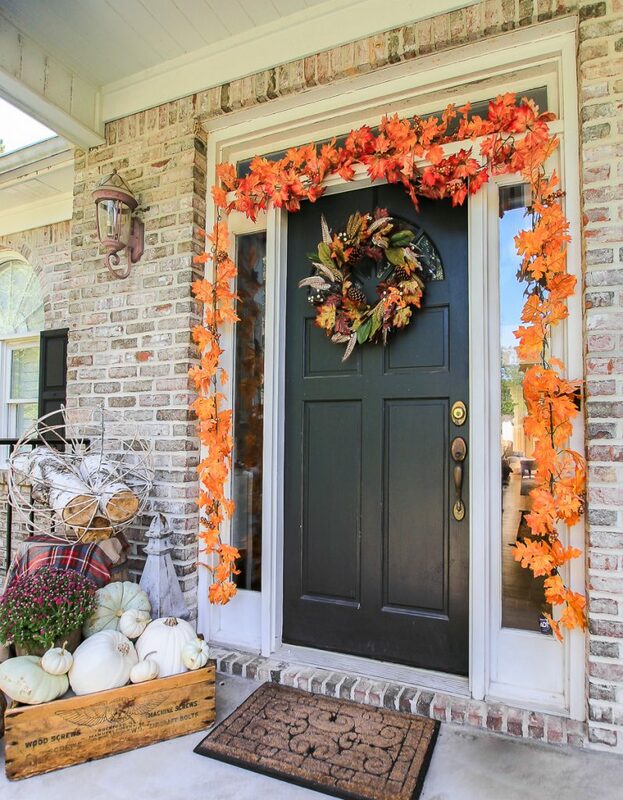 I love the Metallic Pumpkin wreath and the resin pumpkins! Looking over the Kirkland’s website, I absolutely love this for a little family command center in the kitchen! Can I just love/want all the fall stuff? Love your decor. Perfect for the season. From Kirkland’s site, I found quite a few things I’d love to have! 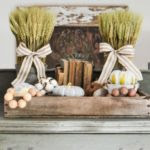 The wheat wreath, the plaid pumpkin stitch pillow, the orange Give Thanks pillow, & the Give Thanks plaid leaf wood plank plaque or the white Thankful one. So hard to choose. With I nice gift card, I wouldn’t have to! Great give away! Thanks! 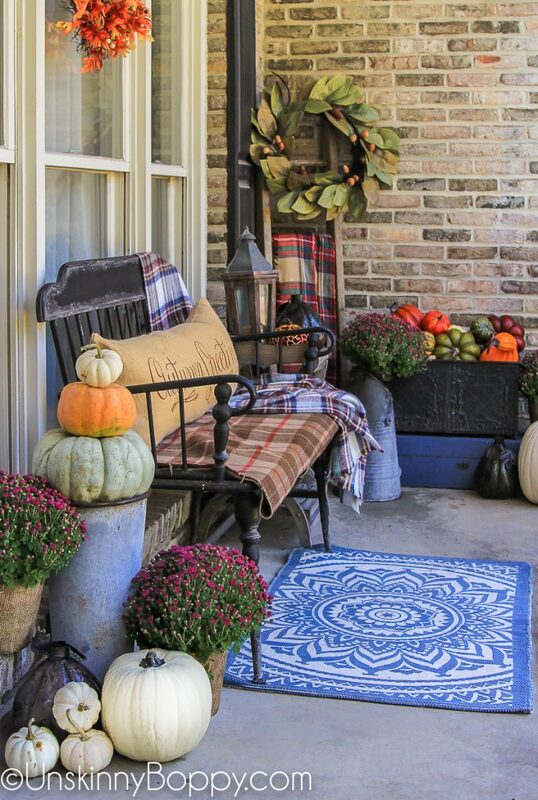 Love that burlap pillow on the front porch!